Yesterday was one of those lovely spring days in Toronto when the burden of winter falls off like a heavy cloak and the whole city, having nearly forgotten what it means to be able to ignore weather, enjoys simply being alive. That was the morning, anyway. 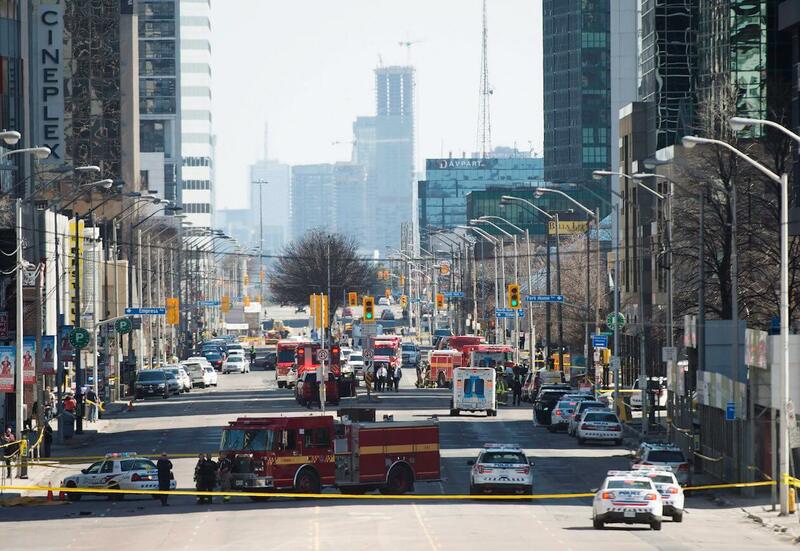 In the afternoon, a man drove a white van onto the sidewalk of Yonge Street in the north end, and ten people died. All that death was unprecedented in this city but, in a way, predictable. Toronto, we imagine, doesn’t have to deal with this sort of thing, being comparatively quiet and almost extravagantly inoffensive. But we also recognize that Toronto is a city in the twenty-first-century world, and that means eventually dealing with spectacular events of mass murder. And so, the day after, Toronto takes its turn trying to make sense of what makes no sense. We have to be careful. Even yesterday, even when the first reports emerged, the urge to define the violence was urgent. One of the first questions being asked was whether this was another white van attack like those in other cities; “Was it terrorism?” Of course, some writers don’t even bother to ask such questions. They just assume. Every mass murder produces the same banal clash of perspectives—one side insisting it’s a terrorist act, another blaming the media for raising the idea. These sides are, of course, metonymies of larger political positions, which can be equally banal and predictable. But they mirror an obsession that I think is natural when great violence has been unleashed in your vicinity: Who would do this to people? Why? We sit around our television or our Twitter feeds, begging for a name and a face. With a name and a face, we can begin to judge and feel in control of our own thoughts, at least. At the moment of writing, nobody is certain of the motivation for the murders on Yonge Street. We know the police have a man named Alek Minassian in custody, a man, according to the Globe and Mail, “with no known religious or political affiliations.” But one of the suspect’s Facebook posts mentioned his admiration for Elliot Rodger—the killer who left seven people dead, including himself, in Isla Vista, California, and claimed that he murdered them because he had been made an “incel,” or involuntarily celibate. Soon we will be awash in speculation about whether the Yonge Street killer associates himself with this particular brand of stupid and pointless rage. But who cares? Ultimately, as yesterday’s events showed, the discourse around terrorism obscures more than it reveals, preventing us from recognizing the real nature of spectacular murder today. 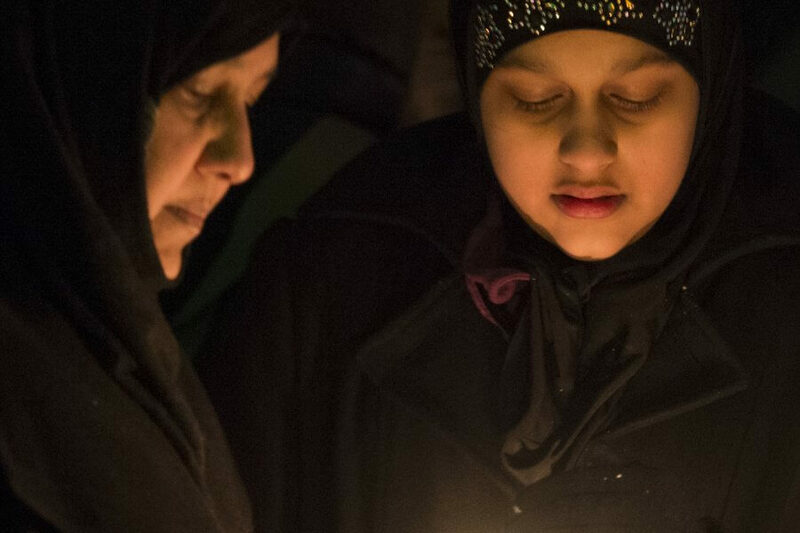 In Canadian legal terms, “terrorism” means violence “for a political, religious or ideological purpose.” But that connection is dubious at best in almost every recent case, here, in the United States, and elsewhere. The violence that fills our cities is not operating out of a conscious military strategy emerging out of comprehensible political policy. It is a form of incoherent anger that expresses itself in spectacles of death. Even in the cases that most lend themselves to the definition of terrorism, it always gives the murderers too much credit. Alexandre Bissonnette, who massacred six worshippers at the Islamic Cultural Centre of Quebec City on January 29, 2017, possessed a furious rage against immigrants. The prime minister and the premier of Quebec called him a “terrorist.” But does anyone seriously believe that his opinions are anything more than cover for an overwhelming desire to murder others? Politics don’t explain much. 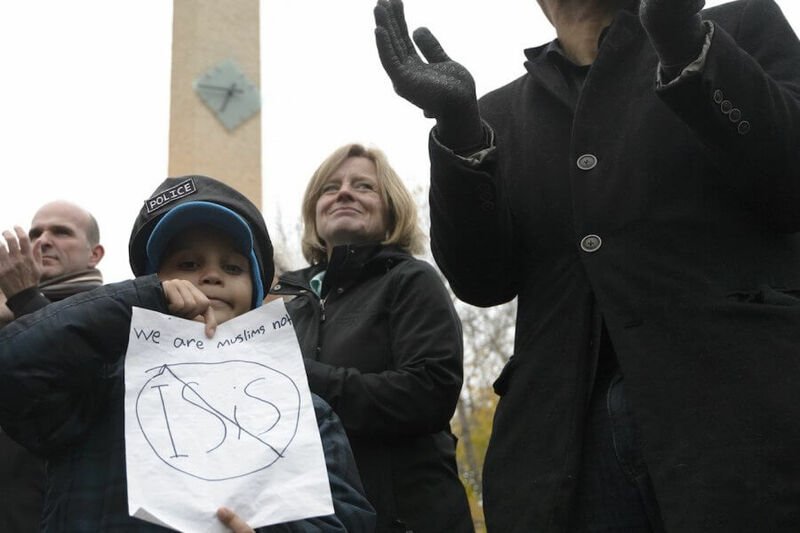 The same could be said for Somali immigrant Abdulahi Hasan Sharif, who stabbed a police officer in Edmonton in September 2017, and for Michael Zehaf-Bibeau who, along with killing a Canadian soldier, left bullet holes all over Parliament Hill. Terrorism is a trap of meaning. The terrorists win because they convince others that their insanity has larger meaning and that that larger meaning can be confronted by political or military means. Such a response empowers their psychopathology. But I believe that Toronto will escape this trap. The obvious reason for hope was the actions of constable Ken Lam who stopped the alleged killer. Consider the situation he found himself in: a man, who had recently mowed down pedestrians, pointing a device that could easily have been a gun and begging to be shot. The cop refused. It was an important refusal in the history of this city. Few cities in the world would have reacted to yesterday’s events the way Toronto has. Not a single shot fired, no politicians dog-whistling about newcomers, no lockdown. I mean, much of the goddamn subway kept running. There is something truly incredible about what Toronto didn’t do yesterday. And that was why, even at the moment of catastrophe, it was very clear that Toronto was going to be okay. Even when we didn’t know what was about to happen, when we didn’t know who had committed the horrific crime, you could tell that Toronto would still be Toronto afterwards. Say it had been a nationalist anti-immigrant whack job who wanted to bring Armageddon to one of the most diverse neighbourhoods in the city. It would not, ultimately, have changed how the city runs. It wouldn’t have stopped Toronto from becoming what it is going to become. It would not have been a serious challenge to the reality of multiculturalism here. And what if it had been a Muslim? What if it had been a Islamic jihadist who was trying to sow chaos in the middle of the G7 meeting? That wouldn’t have changed Toronto’s future either. Because the people of Toronto, at their best anyway, know that any time you put people into pre-established categories, you’re most likely being an idiot. That’s the reason to move here after all: to live in a place where they won’t put you in a box. The city doesn’t always live up to this ideal of inclusion. It fails often, even. But I believe, in a very serious way, that the aspiration towards openness and tolerance remains real. Multiculturalism works here. Everybody knows it. The CEOs of the banks know it. The kids scrounging WiFi outside the libraries after hours know it. The convenience store owners know it. Drake knows it. The old WASPs in the upscale Rosedale neighbourhood know it. No random act of violence is going to shake that knowledge. Yesterday’s hero was a man who restrained himself from action. We should imitate his restraint. The temptation is to foist meaning onto carnage—“today Toronto changed forever,” that sort of comment. We should aim for the opposite; to keep yesterday a meaningless day. This attack should change nothing. Soon, maybe as early as today, the names of the dead are going to be released, and it’s going to be horrible. They will be the names of Torontonians, which is to say they are going to be names from anywhere and everywhere. No piece of garbage—whatever his origins, whatever his name, whatever his motive—is going to stop us from a building a city where that remains true.